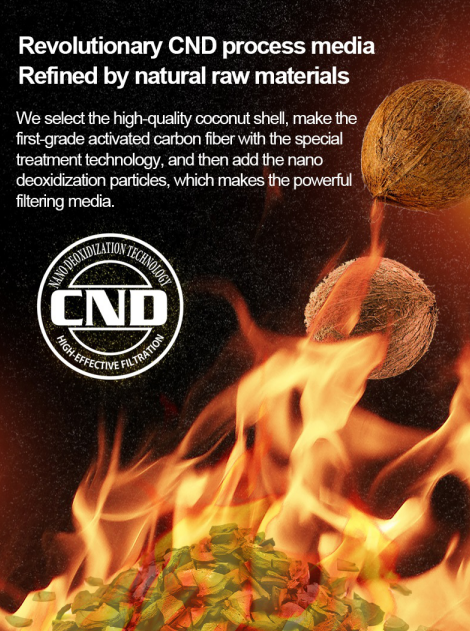 We select the high-quality coconut shell, make the first-grade activated carbon fiber with the special treatment technology, and then add the nano deoxidization particles, which makes the powerful filtering media. 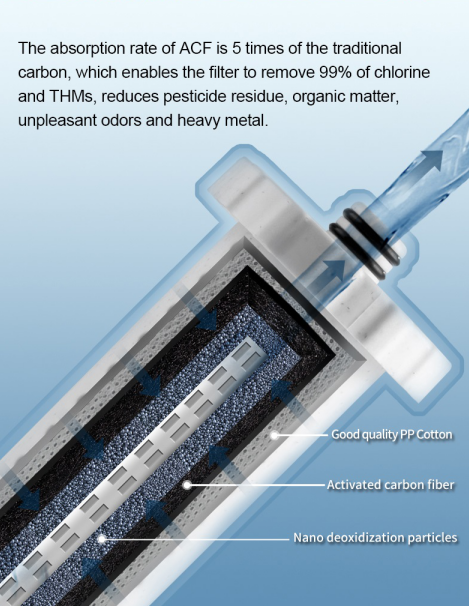 The internal filter composes of the activated carbon fiber and nano deoxidization particles, the absorption rate of carbon fiber is 5 times of the traditional carbon, which enables the filter to remove 99% of chlorine. 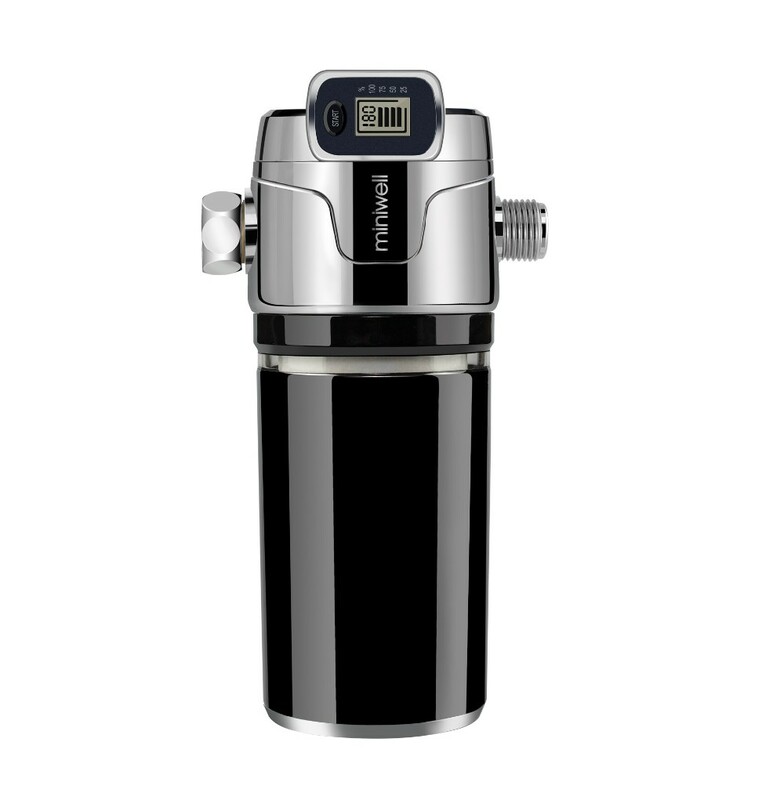 The harmful heavy metals such as copper, lead, mercury and others, react with the nano deoxidization particles and plate out onto the medium's surface, thus being effectively removed from the water supply, balance out your PH levels. Comparing with the other brands' simple mixture of the raw materials, Miniwell adopts CND technology to make the raw materials high-densification treatment, which greatly enhances the filtration performance of the filter, makes its filtration precision reaches 10 microns. 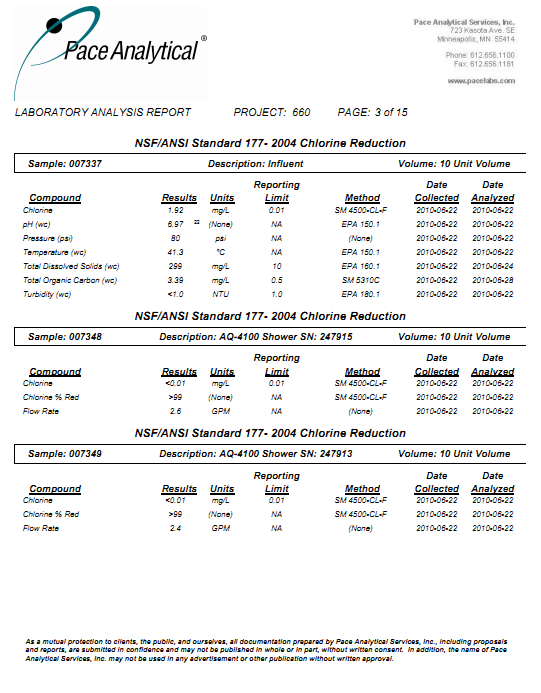 High effectively remove 99% chlorine,thms, contaminants, impurities and other harmful substance, inhibits the growth of scale, algae, fungi, mold and restores what your hard, chemical filled water did to your hair, skin and nails, reduces the risk of developing eczema,asthma, bronchitis and dry itchy skin. 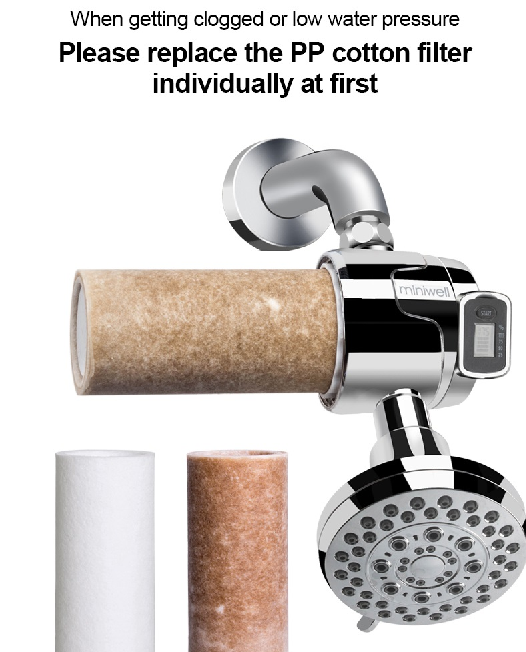 Small water pressure or the filter plugging is usually caused by macromolecular impurities (such as sediment, rust, etc.). 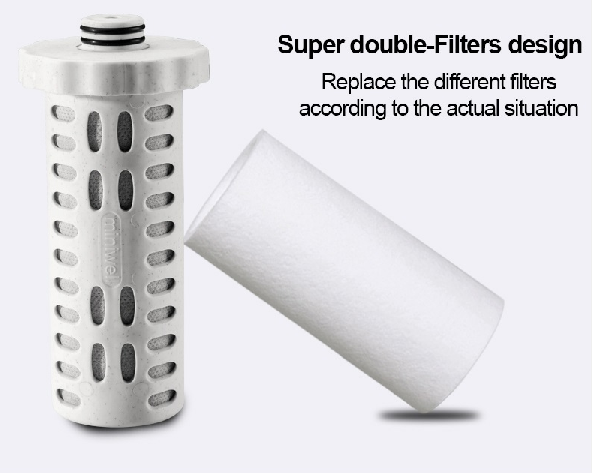 Replacing the entire filter is so costly, but the inferior filters do not work at all. MINIWELL unique dual-filter solution change this dilemma. 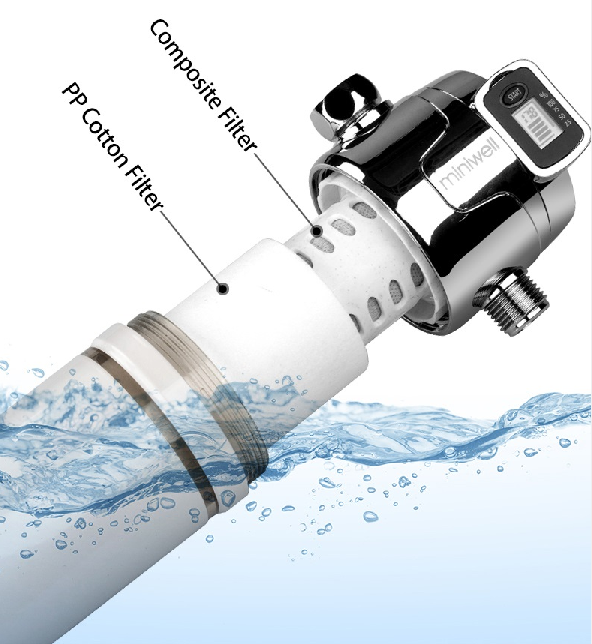 No need to frequently replace the core filter, just replace the PP cotton filter individually according to the actual situation. 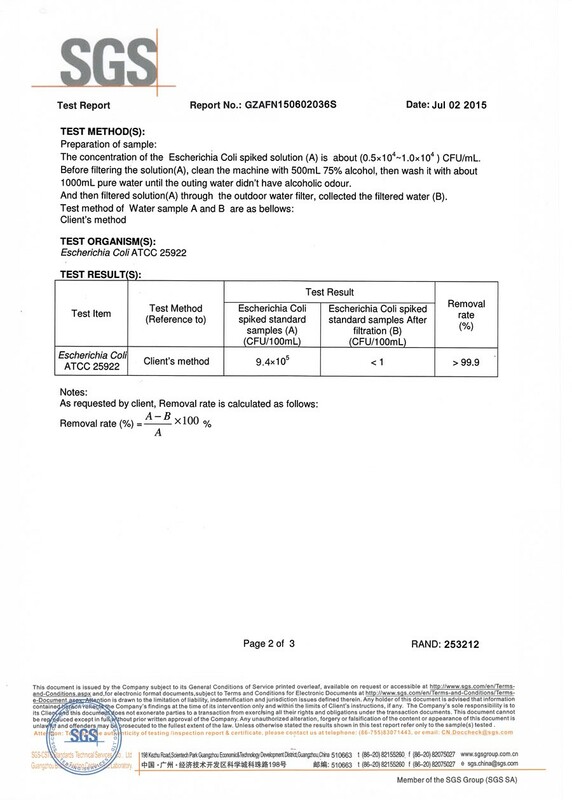 Strongly remove 99% chlorine,thms, contaminants, impurities and other harmful Substance. 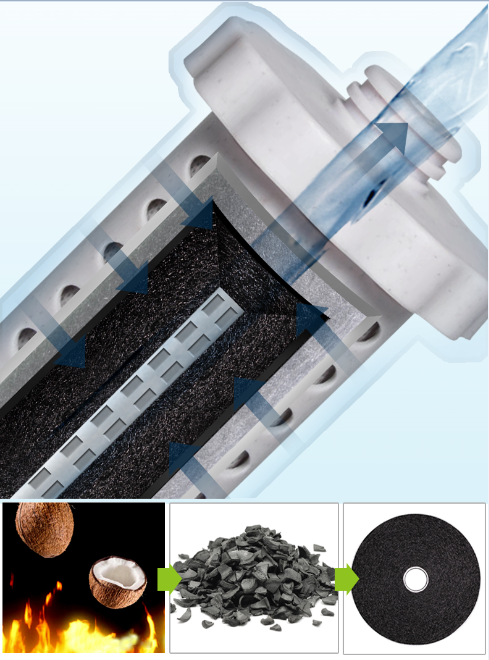 Filter and remove sands, rust, some parts of protozoans and sediment. HOW TO DO WHEN GETING CLOGGED? Step1: When the water flow becomes smaller, or the filter is getting clogged, it is time to replace the PP cotton filter firstly. Step2: Remove the existing PP cotton filter, and no need to change the composite filter (It can last about 6 months, please replace it according to the manual's instruction). Step3: Replace the new PP cotton filter as the picture showed. Step4: The water flow is resumed normal. 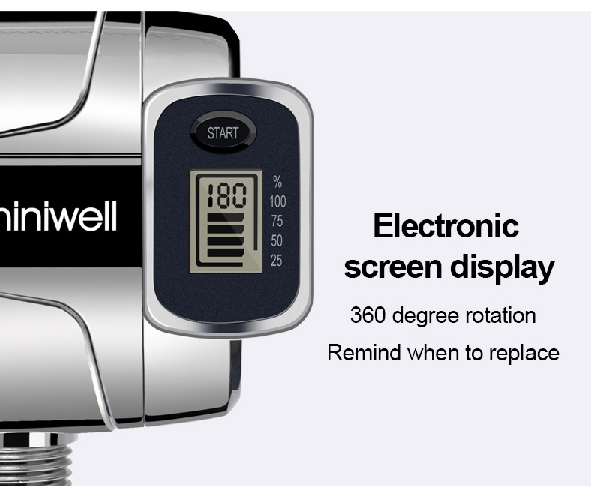 The electronic display makes it more considerate and convenient, meanwhile, Miniwell L760 has super long lifetime while keeping the perfect chlorine removal rate, comparing with other competitions. 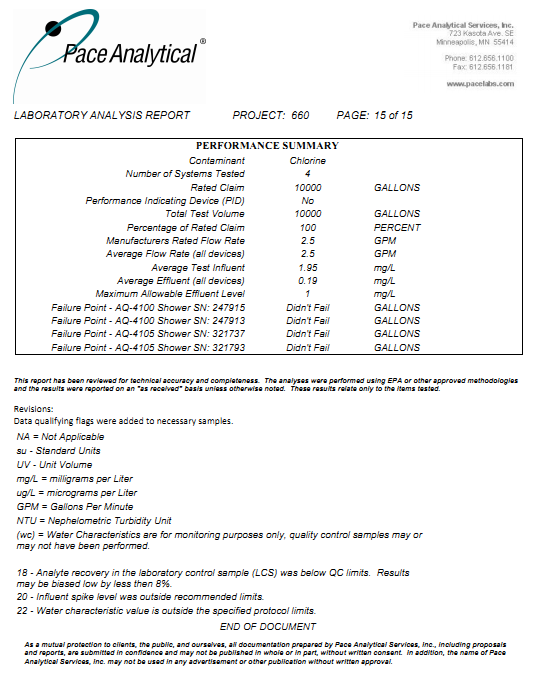 Unique CND process media can remove over 99% of residual chlorine and keep stable removal performance if our product fails to work as our description, Miniwell promise to pay back your money within 120 days from the date of your purchasing. 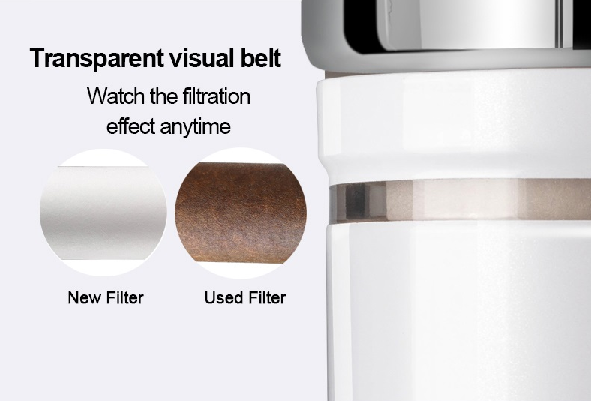 Allow you to watch the filtration effect anytime. 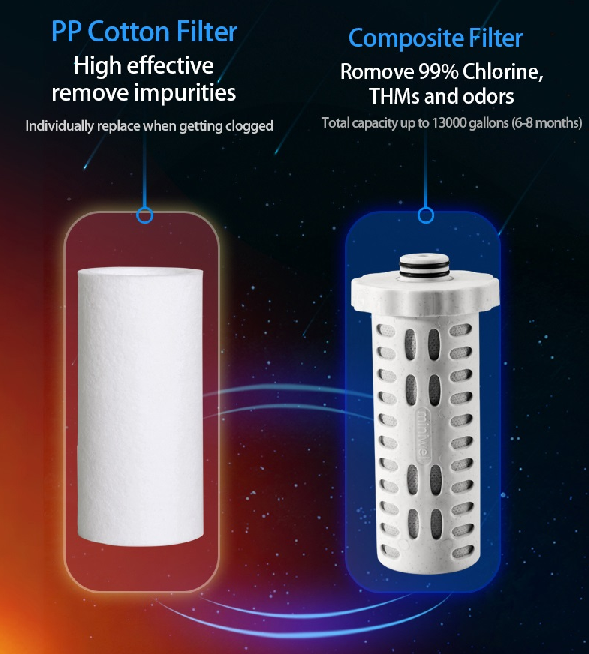 No need to frequently replace the core filter, just replace the PP cotton filter individually according to the actual situation. 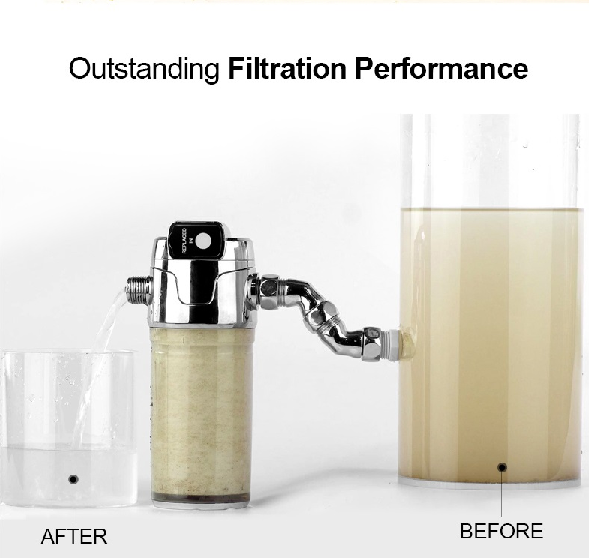 With attractive and shiny shell, the filter can keeps the large water flow while maintain excellent filtration performance. 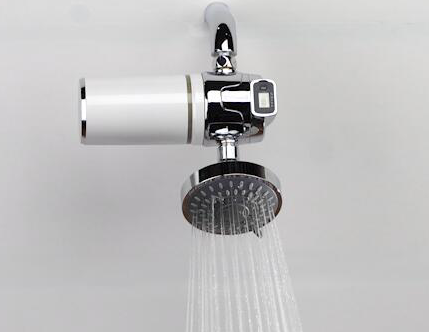 Let you enjoy the best showering experience. Chlorine and Chloramines dries out your skin by stripping it of its protective oils. We treats the problem water directly at the source. The risk of developing melanoma is higher than those who did not shower in chlorinated waters. We keep the harm far away from babies. 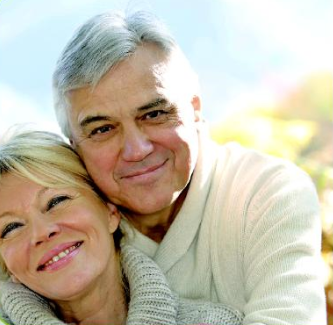 Let you reduce the risks of disease infection, such as kidney failure, liver damage, learning disabilities, ADHD, cancer, and respiratory problems. 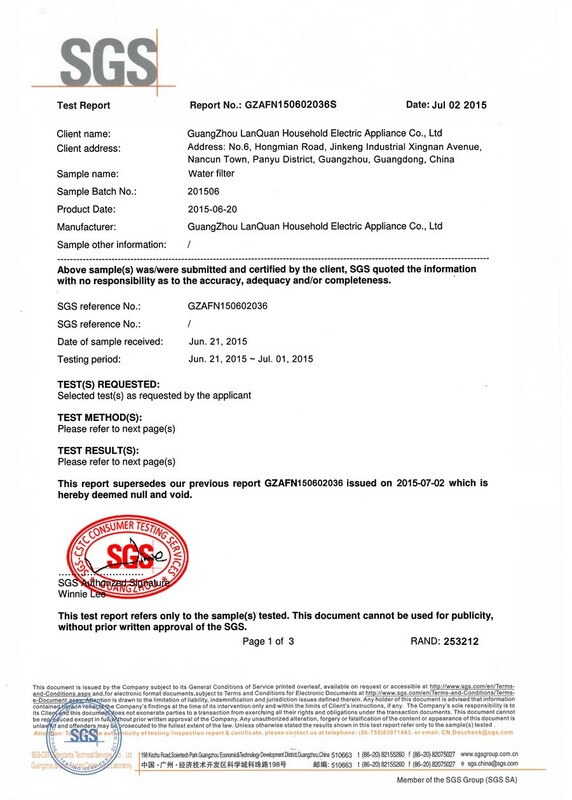 Guangzhou Lanquan Household Electrical Appliance Co., Ltd.